Scones are very popular in my family. 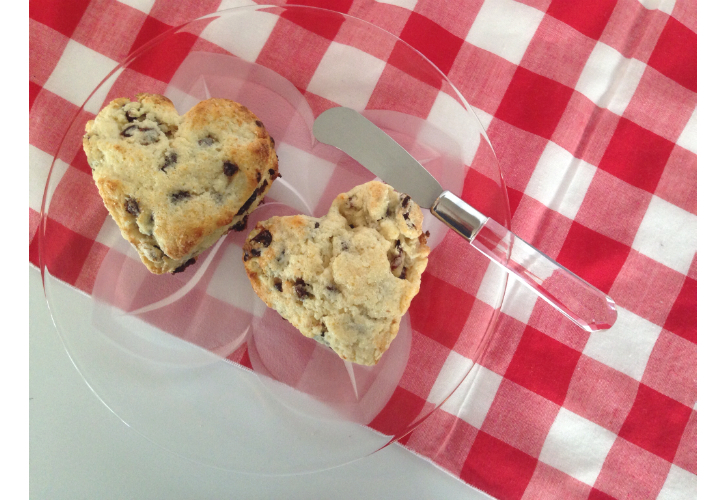 Everyone, even Mac who doesn’t like sweets, enjoys them so I thought I’d make heart-shaped scones with Valentine’s Day approaching. 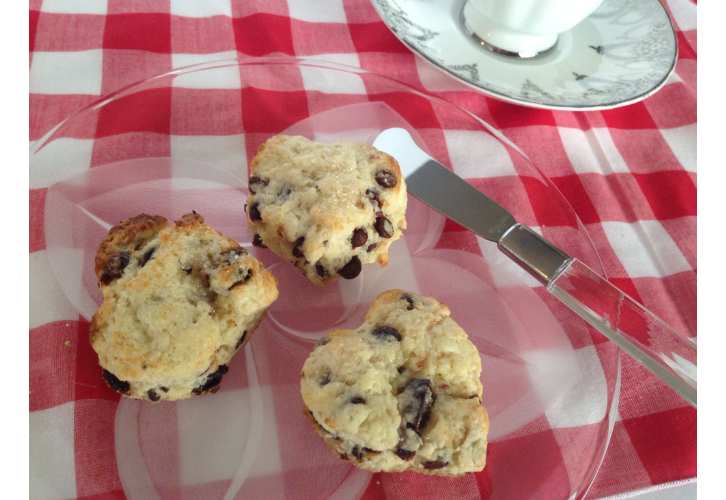 I used a basic scone recipe and added flavor with dried sour cherries and dark chocolate. Yah, that combo works for me! Preheat oven to 400 degrees. In a large bowl, combine flour, sugar, baking powder and salt. Mix in butter with a pastry cutter until mixture resembles fine crumbs. Stir in dried sour cherries and chocolate chips. 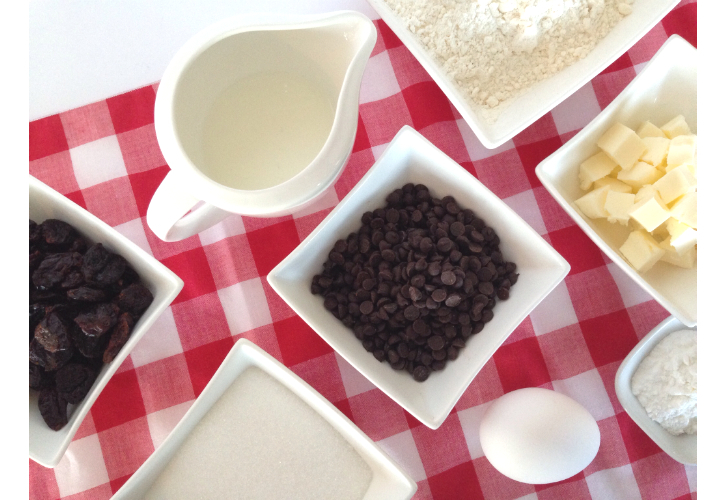 Beat milk and egg together and add to dry ingredients. Stir to combine. You may need another tablespoon or two of milk. Do not over stir! Turn dough out onto lightly floured surface. Pat out to 1 inch thickness. 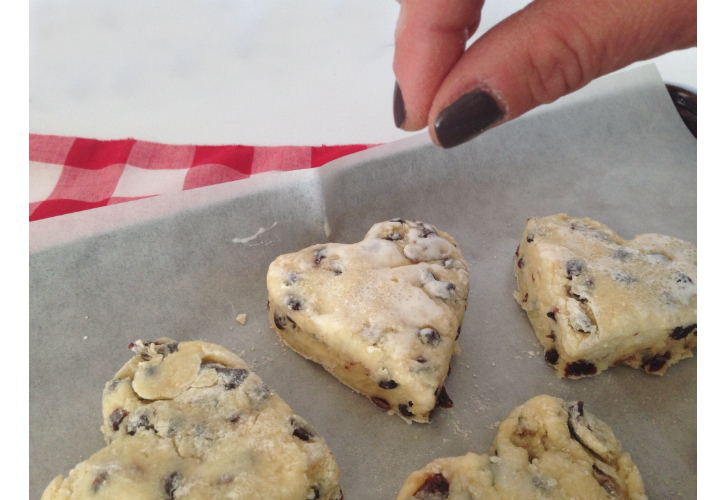 Cut hearts out with a cookie cutter (approx. 3 inches at the widest point). Place on parchment lined baking sheet. Brush with whipping cream and sprinkle with coarse organic sugar. Bake for 10-12 minutes, turning the pan halfway through the cooking time! Makes 12 scones. 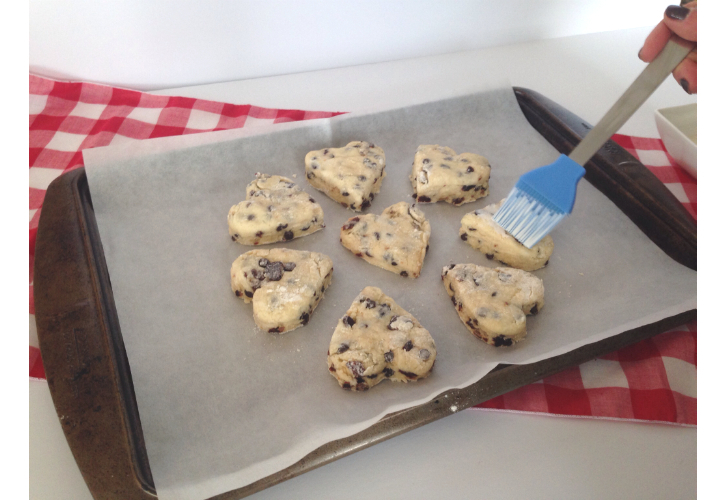 Make sure to use mini chocolate chips so that the scones stay together, especially if you are serving them warm. I also used a smaller heart cookie cutter (about 2 inches at the widest point) to make some minis. These bake for about 6-8 minutes. 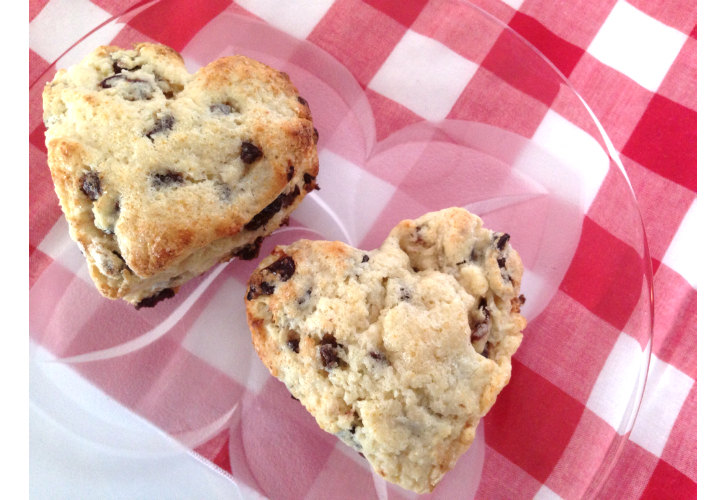 Don’t skip the cream and organic sugar….it gives these scones a slight bit of sweet crunch! The tartness of the cherries pairs very well with the sweetness of the dark chocolate. They are super tasty on their own…no butter or jam required!! 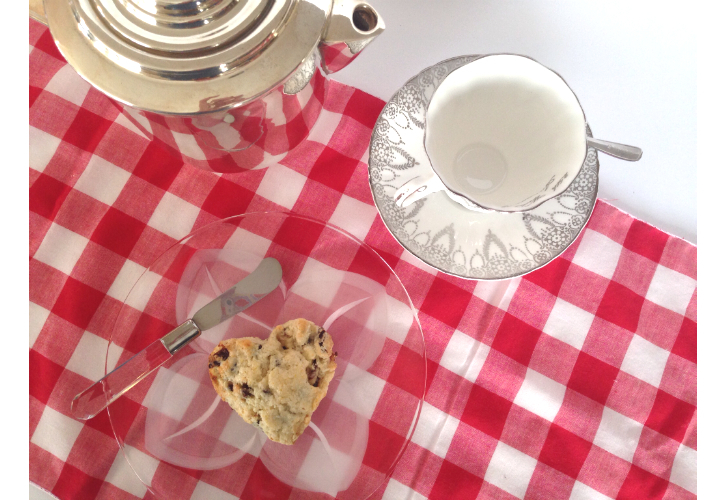 Why not enjoy these scones and a spot of tea with some of your favorite people!